We know searching for a company to support and service Office 365 for your organization can be an exhausting task. Researching online, finding out what companies offer, and comparing each option can be daunting. When you decide to take action, everything you need to know is right here! Contact us today for a no cost consult and see how we can become a vital part of your team; the behind-the-scenes team that keeps your team running smoothly! During our initial consultation, we ask many questions about your current desktop, network, and data. We need to know what your current Office 365 licensing procedures are, how many employees you have, your local server access, or anything special that you would like to implement. Bring everything to our meeting; we want to know it all. This will help us develop a game plan and offer a quote that best meets your needs and exceeds your expectations. WHAT REQUIREMENTS DO WE NEED FROM YOU TO GET STARTED? To be sure that we don’t miss anything, we have an onboarding checklist that makes sure we collect all your information before we start your Office 365 migration and setup services. We know what hurdles to expect from our years of experience and proven performance. You just need to (finish thought here). All technical requests are completed by our team of engineers with many years of experience. We consider Office 365 to be one of our favorite products to support as it is an ever evolving data ecosystem. WHO DOES THE SUPPORT AT WAHAYA? All of your support is done right internally by our own technicians. There is no outsourcing, and we guarantee you will never need to call Microsoft for any issues. We are your one-stop shop and guarantee you will never be on the phone with Microsoft for hours. Our expert engineering team knows how to fix small issues quickly and manage the updates for your computers and Office products to keep your production day–well,–productive! When you hire our team to support and manage your Office 365 services, everything is pay as you go. Help desk calls, training, special requests, and updates are all as needed. 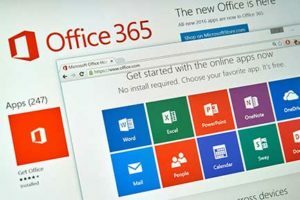 Alternatively, we can offer a support for Office 365 as part of our managed services plans, so you can focus on your work while we focus on keeping your technology up to date. Our Office 365 migration services include account setup, migration from your old servers, implementation, and training. Backed by technology experts, we help organizations gain the full benefits of existing systems, make strategic investments in implementing replacement solutions, and maintain infrastructure that is secure, dynamic, and reliable. We offer a full range of solutions including fully managed services, mobile computing, Virtual CIO, IT strategy, virtualization, cloud computing, business continuity, network security, and IP telephony. Wahaya offers local support for Office 365 to all of the Baton Rouge area.